1. What are your miniatures made of? Most of the miniatures of made from polymer clay. As much as I would love to eat them, they are unfortunately inedible. 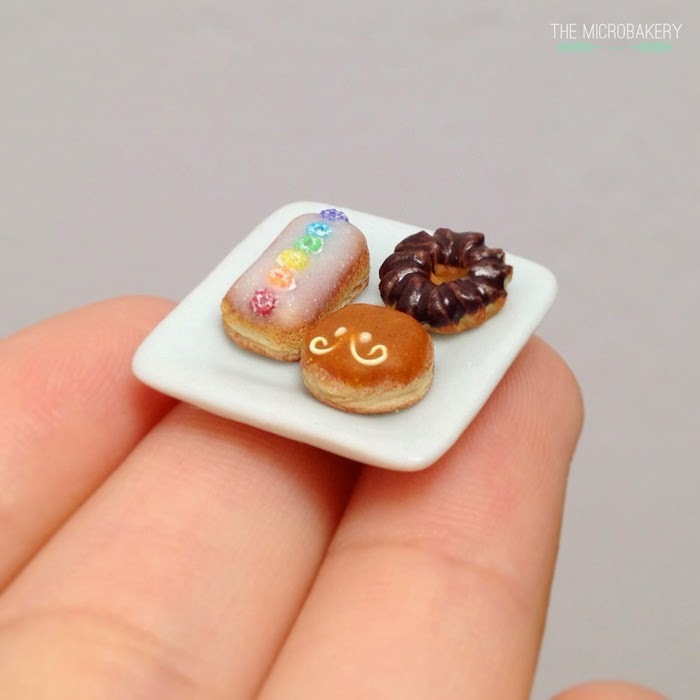 Sometimes elements of the foods are made of other materials such as varnish, acrylic paint, sand, etc, but for the most part the food is made of polymer clay. 2. Where do you get all your plates? A majority of the plates you see I bought from eBay. A few of them I took from my huge collection of Barbie kitchen accessories or from a miniature tea set my grandma gave to me. 3. Where did you buy your tools and supplies? 5. Do you sell your items? However, it should be noted that making miniatures is a hobby for me and I don't plan on making big batches of items. This means every once in a while I will list and sell my creations if I happen to make extras or simply feel like selling them. So apologies in advance for not having a fully stocked store.